A man was escorted from the Hong Kong Sevens pitch over the weekend after he invaded the field wearing just underwear and trainers. The streaker was cheered by the crowd before being taken away by security staff. 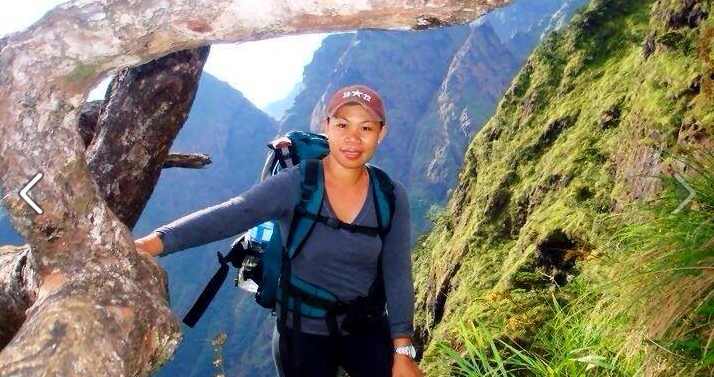 This entry was posted in Blog News News: Politics and tagged blog news News: Politics on March 29, 2015 by Tom Grundy. 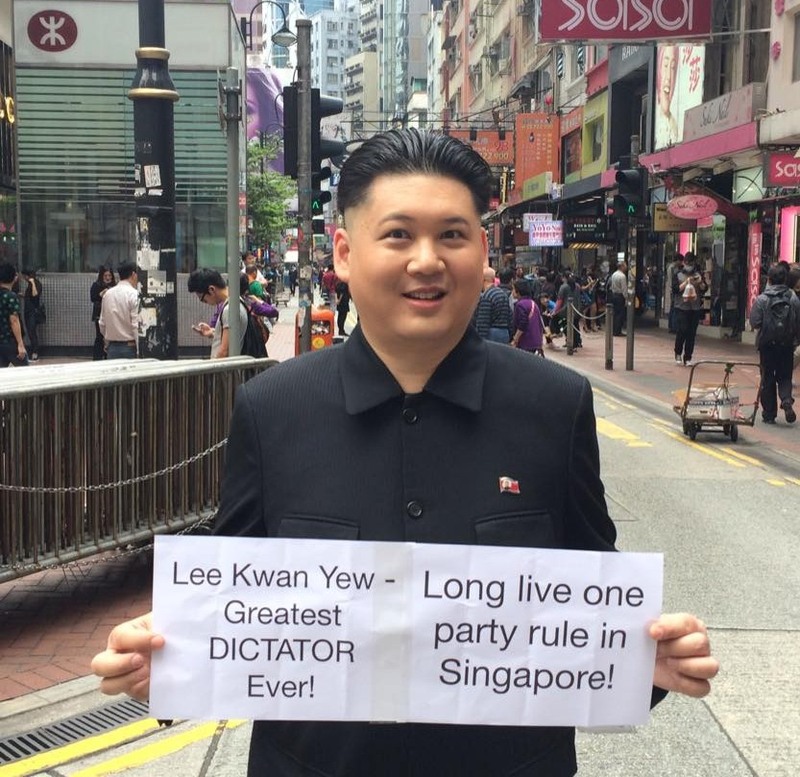 Hong Kong’s very own Kim Jong-un impersonator was ushered out of an event marking the passing of Singapore’s founding leader Lee Kuan Yew on Sunday. 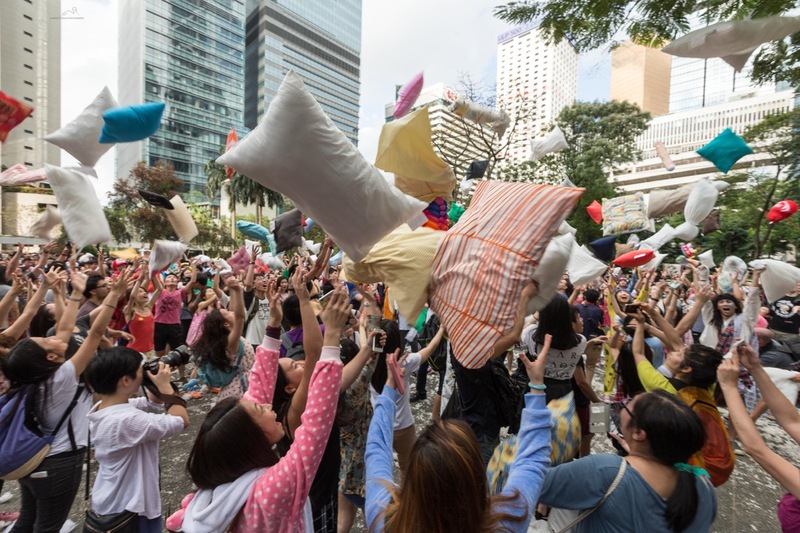 “Kim” took to the stage as hundreds of Singaporeans gathered at Central Plaza to watch a live-stream of Lee’s funeral. In an effort to subvert the outpouring of positive coverage surrounding Lee’s passing, the Kim lookalike declared the former prime minister the “world’s greatest dictator” amid angry heckles. This entry was posted in Blog News News: Politics Photography & Wallpapers and tagged blog news News: Politics Photography & Wallpapers on March 29, 2015 by Tom Grundy. 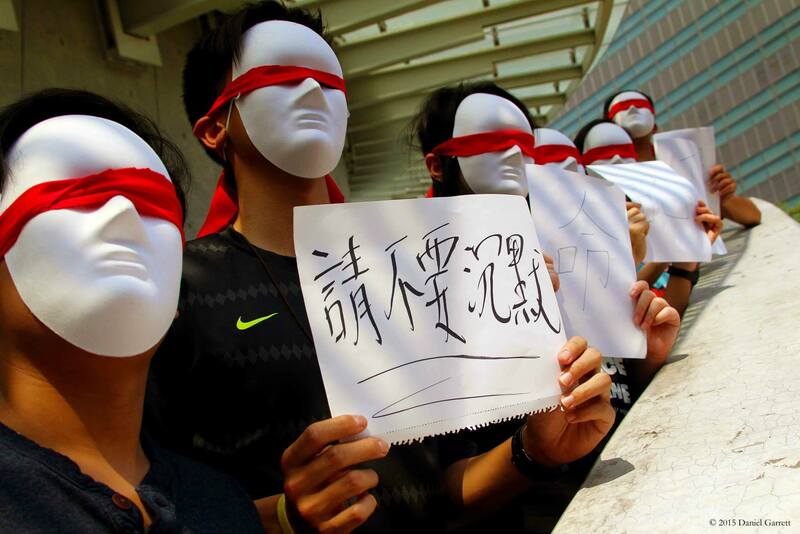 Photos from yesterday’s gathering marking six months since the beginning of the Umbrella Movement. Courtesy of Dan Garrett. This entry was posted in Blog News News: Politics Photography & Wallpapers and tagged blog news News: Politics Photography & Wallpapers on March 27, 2015 by Tom Grundy. A Huffington Post cross-feature. Some names have been altered and identities obscured to protect those featured. 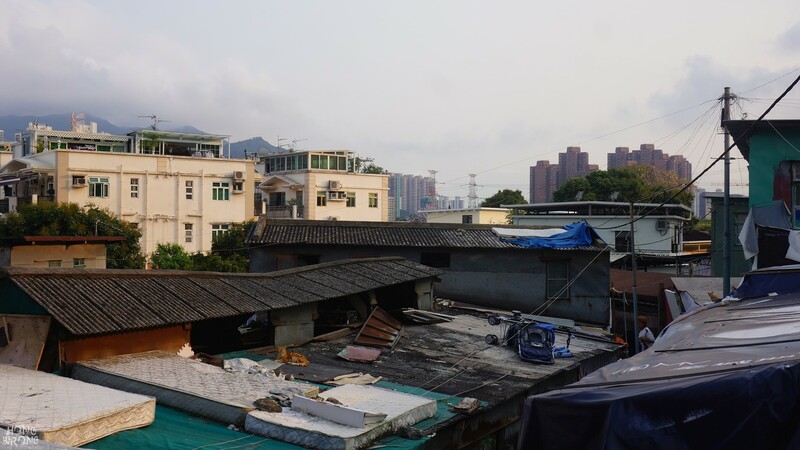 Village houses and flats overlook a ramshackle slum in Lam Tei, a suburb in Hong Kong’s New Territories. As of December 2014, the city is home to 9,618 asylum claimants. This entry was posted in Blog News News: Politics and tagged blog news News: Politics on March 27, 2015 by Tom Grundy. 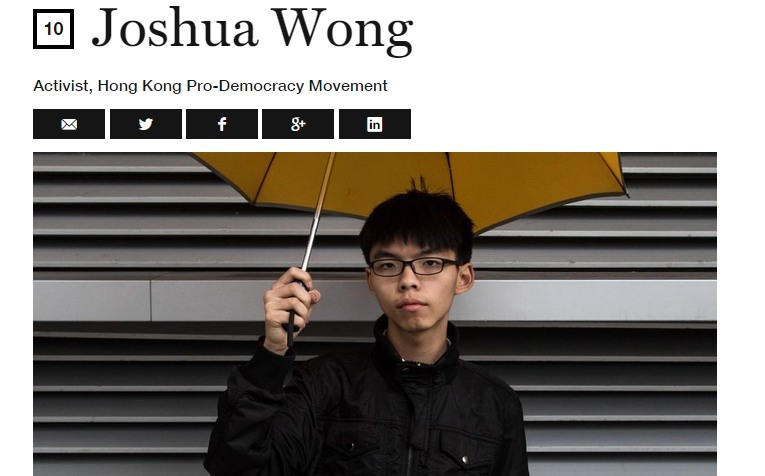 The Umbrella Movement student leader and Scholarism founder Joshua Wong has been placed tenth in a list of 50 ‘Great World Leaders’ by Fortune Magazine. 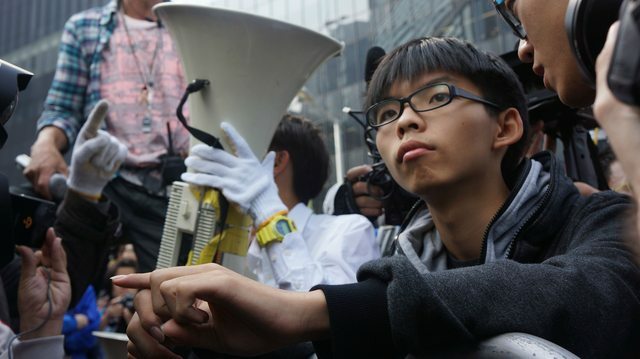 The student activist was previously given pride of place on the front of TIME Magazine and was nominated for ‘2014 Person of the Year’. This entry was posted in Blog News News: Politics and tagged blog news News: Politics on March 22, 2015 by Tom Grundy.